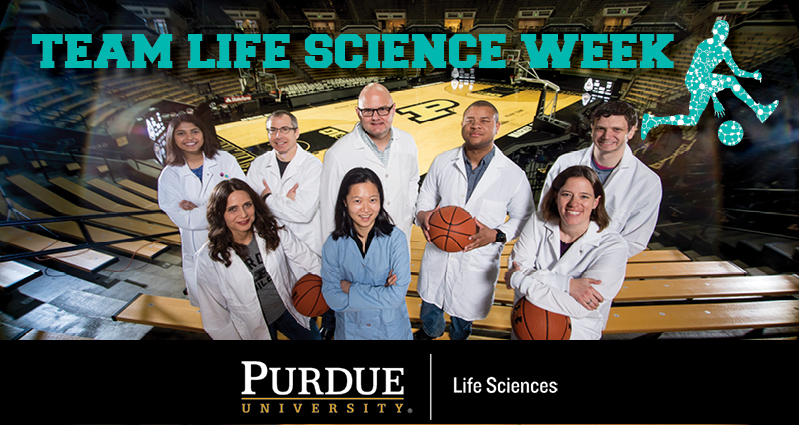 We are rapidly approaching our Life Science Week: March 19th through the 23rd. As mentioned in our last edition, we are excited to include events representing our vibrant life science community (Casually referred to as Team Life Science). We welcome your participation in all events, but are especially excited to see you at our tipoff, Monday, March 19th at 2:30 in MJIS 1001 where we will have the pleasure of hearing from our life science directors. They will each have brief overviews of their last year of activity as well as the future directions they expect to take the institutes. The event will be followed by a reception. A schedule of events may be viewed here. The Institute for Drug Discovery is happy to announce the 2nd call for proposals to utilize the high-throughput/high-content chemical genomics screening facility. This award will provide a $15,000 credit to be used in the HTS facility for assay development/miniaturization, screening activities, screening supplies, and/or instrument usage. Applications are due by Friday April 27th. The full proposal can be downloaded here. See our website for information. Reminder, Bryan Norman (Independent Consultant, Retired Eli Lilly and Company) will give a special seminar on preclinical safety assessment and mitigation strategies on Monday, March 5th at 11:00 a.m. in the DRUG Lobby Conference Room. This invitation was sent due to requests made for additional training opportunities in preclinical testing raised during the Institute for Drug Discovery’s Town Hall last semester. Dear PI4D community, spring is quickly approaching and we want to capture your accomplishments and accolades in the last year. We know you are doing great work because we hear about it in the news. But we want to capture everybody’s contribution towards excellence in research. Did you finally get that high impact journal publication published? Were you finally able to get that grant that you worked on for months? Were you invited as a keynote speaker or as a special awardee of an event? Please, don’t forget to let us know so that we can continue to highlight your programs and the impact they are making. A funding opportunity called the Indiana CTSI Postdoc Challenge that can be found here. The opportunity is designed to allow postdocs to apply for $5,000 to use Indiana CTSI-Designated Core Facilities and also participate as reviewers in an NIH-style review session. Applicants can be reviewers too and I urge you to take advantage of doing both because the experience is invaluable. Deadline is Monday, March 5. Greetings! This week we continued the Spring Brain and Spinal Cord Injury Seminar Series with Dr. L. Tiffany Lyle, Assistant Professor, Veterinary Anatomic Pathology. Please join us on March 21st for our next installment. We are pleased to announce that over thirty faculty members and students attended Dr. Philip Joris’ presentation as part of the Special Lectures in Neuroscience Series on February 22nd. We encourage the rest of the community to attend the upcoming public presentations. Congratulations to Dr. Esteban Fernandez-Juricic, professor of Biological Sciences and PIIN member, who has been voted President-elect of the Animal Behavior Society. Also, congratulations to Alexandr Pak (Chubykin lab) winner of the “Five” Minute Thesis Competition hosted by the PULSe program. His presentation was entitled “Less is More: How Experience Shapes Visual Perception.” Dan Cholger (Zheng lab) received the Audience Choice award for his presentation entitled “Visualizing Purinergic Gliotransmission”. To view the calendar of our upcoming events—please visit our website. March 5: Discovery Park Distinguished Lecture Series: "How a Sentence Changed Climate Science: Lessons Learned from the 1995 Climate Report"
March 20: Neuroscience & Physiology Seminar: "Non-canonical roles for phagocytic microglia in acquired epilepsy"
March 20: Biochemistry Seminar: "New and Unexpected Roles for Pax6 in Eye Development"
The Department of Chemistry and Biochemistry at the University of Notre Dame is accepting applications for a full-time teaching faculty position to support the Neuroscience and Behavior (NSBH) undergraduate major. Application deadline is March 15. April 10 is the deadline to submit poster abstracts for the 6th Annual Neuroscience Symposium: The Neuroscience of the Healthy Brain. Dr. Yang Yang - "Nav1.7 as a Pharmacogenomic Target for Pain: Moving Toward Precision Medicine”. Dr. Ziongming Liu- “Deep recurrent neural network reveals a hierarchy of process memory during dynamic natural vision”. We are excited to announce the appointment of Joe Ogas as Associate director of Cancer Research Career Enhancement. This position will head the organization and enhancement of the cancer centers educational processes. Please welcome Joe to our leadership team and engage with him to make our cancer career enhancement effort one of the best among cancer centers. Please find updates below and you can always reference information on our website. DRUG Lobby Conference Room at 11:30 a.m.
"Natural Killers are Made, not Born: Adoptive Cancer Immunotherapy with Reprogrammed Natural Killer Cells" - DRUG Lobby Conference Room at 11:30 a.m.
REMEDI hits 300. The Regenstrief National Center for Medical Device Informatics (REMEDI), a component of the Regenstrief Center, now has over 300 hospital sites uploading medical device data. REMEDI serves as a collaborative platform that generates comparative reports summarizing their hospital’s data relative to other hospitals in the database in order to improve the safety and quality of healthcare delivery. Regenstrief Center Hosts Data Science for Health Care Workshop. As a follow-up to the Jan. 26 Integrated Data Sciences Initiative Forum hosted by Jay Akridge, provost and executive vice president for academic affairs and diversity, and Suresh Garimella, executive vice president for research and partnerships and the R. Eugene and Susie E. Goodson Distinguished Professor of Mechanical Engineering, the Regenstrief Center will host a data science research workshop focused on health care. Following this workshop, a request for proposals will be released on March 14. The workshop will be 2:30-3:30 p.m. March 6 (Tu) at Jischke Hall of Biomedical Engineering, Room 2001. The workshop will be facilitated by Paul Griffin, director of Regenstrief Center for Healthcare Engineering. Register for the workshop is required. Interested faculty should use this Eventbrite link.